Here Is Where You can easily Find The Best Ham Side Dishes! It isn’t always enough to have only your regular pork; ham takes it a bit further with the well salted and smokey taste it adds to it. The invention of ham brought about a lot of food loving and cooking. Think of all the recipes that would have been undiscovered without ham, utterly unimaginable. Even those who are not adept pork eaters have soft spots for ham, they totally forget about the pork part and just flow with the sweetness of the meat. Another reason why I love ham are the numerous ways you can incorporate it into dishes. If you have been having a little trouble as to what to serve with your ham, you are in luck; we are going to inspect some well hand-picked side dishes for your ham and throw in some unique main dishes that you can make with ham. Yes, all ham is extracted from pork, but when we talk about pork, we only refer to the meat that comes from a Pig, which could be any part or all the parts of the pig. Ham is gotten from specific areas in the body of a pig, not all parts of the pork qualify to be processed into ham. Ham is obtained from the hind legs of a pig; these are the back legs of the pig. Another significant distinction is that ham usually goes through a process which is called curing. The pork’s hind legs are allowed to cure for a period of time before it is smoked into ham. There are different curing processes which ham makers use to get it well processed. Fresh ham is the term used to refer to ham that has not undergone the process of curing. Do you have that left over ham, there’s a way to make use of it. There are always times we have so many leftover bits and pieces of food that we get confused about what to do with them. This recipe by Pocket change gourmet combines ham and broccoli into a lovely meal that looks fabulous. Another good thing about it is that you don’t need to spend all day, it is fast easy and convenient. When you are done, you can just cut them up into eatable slices and serve. Have you had a pretty long day, and you need to make a quick fix ham dinner, try this! This recipe by EasyAndDelish.com also called “Arroz de Forno Misto” has a Brazilian touch, Aside the delicious and creamy cheese look it has going for it, it is super easy to prepare. The dish tends to be high in calories although it is gluten free, you can add more vegetables or reduce the quantity of cheese used in the recipe. You can re-invent with more spices if you want, fantastic right? I know, get cooking and see how it goes. I know you have had baked ham many times, but you need to try out this baked ham recipe by The Seasoned Mom. It is all but boring, the citrus burst in the glazing is so befitting with the salty ham. Another plus is that it isn’t time-consuming; the only time it takes is getting it ready for baking which doesn’t require much in the first place. The dressing style in the recipe is plain and neat. You can get more creative with the dressing, probably a different slicing pattern or additional fruits like pineapple to the dressing. If you are a huge fan of beets like I am then this recipe by E.A Stewart is just the way to go. The taste of finely roasted beets with some slices of ham is better eaten than imagined. I personally prefer roasting the beets myself rather than using pre-cooked beets to get the exact texture I want. 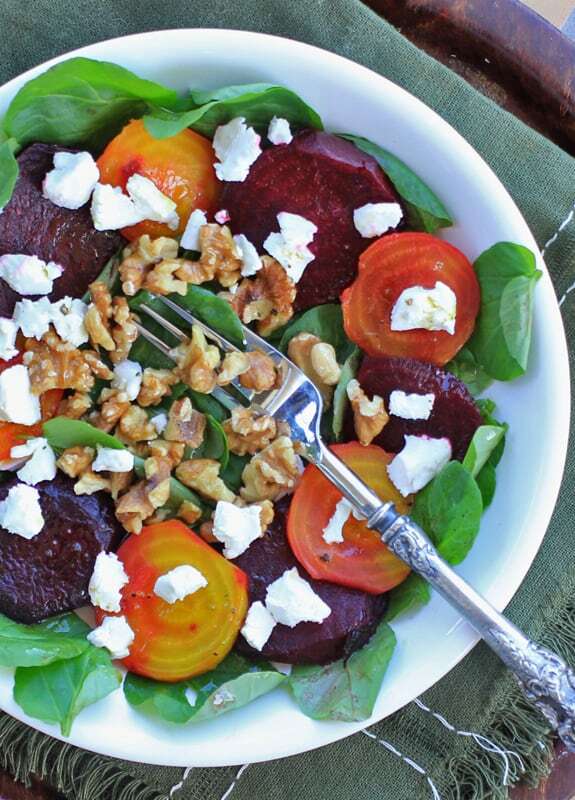 The walnut choice in the recipe can be overlooked if you have reactions or will be serving people who react to nuts, follow each process as stated and you will have an excellent plate of beet salad at the end, it works perfectly. For this recipe, you are going to need a food processor to get the carrots in shape for cooking after baking to sweet softness. This recipe by The Mediterranean Dish gives you a step by step breakdown of how your carrots should turn out before processing and when done. Place dish in soup bowls with your ham, and you will get a lot of people smiling, including yourself. I like to put it with some bread too for the extra savoury look. Sprinkle in some blended vegetables to further compliment the vibrant orange colour of the soup. This is definitely a yes, scalloped potatoes are a perfect side dish for your ham. Anyhow you prepare your ham, scalloped potatoes go just fine. 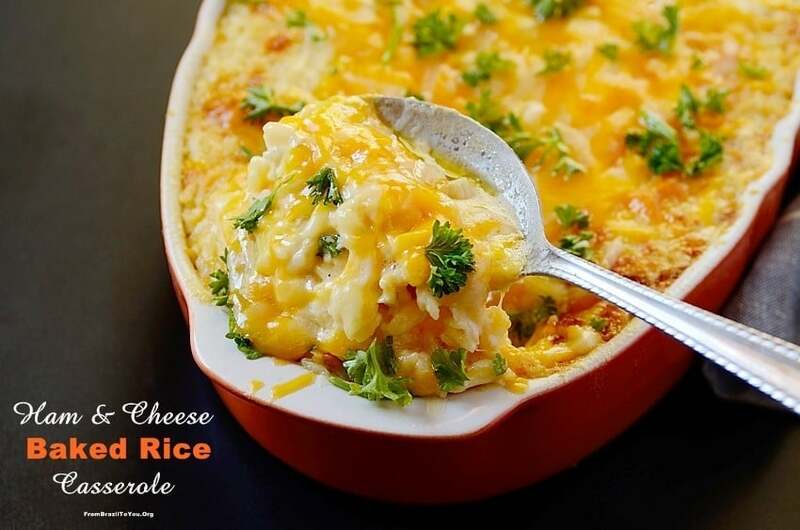 If you like those extra cheesy and soft potatoes, then try out the recipe by Chew Out Loud. The golden brown colour of the recipe is attractive, and the taste is a match too. Because of the fear of Trichinae and other organisms which are habitually found in pork, some people tend to be very conscious of how they consume it, or they avoid it all together. If you also have such fears then ensure you read the packet label to be sure of the kind of ham you are purchasing, it should be well stipulated whether or not the ham has been cured or if it needs further cooking before consumption. There are so many ways you can prepare your ham; you are free to mix it with whatever seasoning you like and come up with something spectacular, of course, you can! Just remember to fill me in and share the recipes.